Intros, Essays, Blogs, and Assorted Misc. BOBBY'S BINGEABLE BIG BOX O' BOOKS BUNDLE! Here's a sneak Peek at Lance Star: Sky Ranger's appearance in Operation Silver Moon, a Comic Book Work In Progress from me & artist Rick Johnson. You can find use both on Facebook and Twitter. Want to see more of Rick's art? 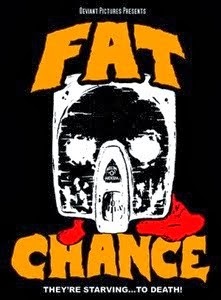 Visit http://phatz63.deviantart.com/. 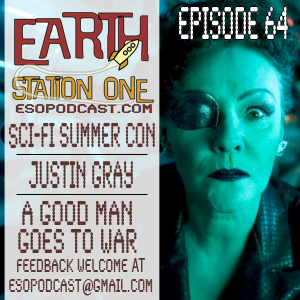 I was a guest on the Earth Station One podcast that recorded live at Titan Games And Comics in Duluth, GA on June 26th. 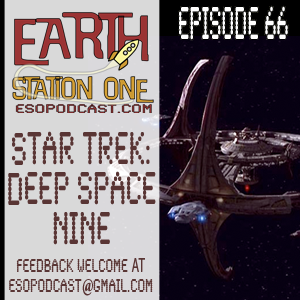 In this episode we discuss my favorite Star Trek series, Star Trek: Deep Space Nine. Welcome to yet another episode of The Earth Station One Podcast, this week ESO is coming to you live from Titan Comics in Duluth, GA. For this episode we gather with our regular cast of characters to talk about Star Trek: Deep Space 9. Join us for yet another episode of The Earth Station One Podcast we like to call: – What a quiet little space station, &$%& where did that giant worm hole come from? Earth Station One Episode 66 is now live at http://www.esopodcast.com/. 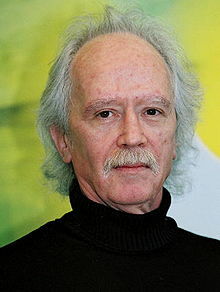 Bobby will be a guest at FandomFest in Louisville, KY on July 22 - 24, 2011. Today, the convention released Bobby’s panel schedule for the convention. FandomFest will be held on July 22 - 24, 2011 in Louisville, KY. In case you missed any of the Lance Star: Sky Ranger iPulp Launch Interviews, here's a round up of all of them. You can read them all, as well as other Lance Star: Sky Ranger news at http://www.lance-star.com/. 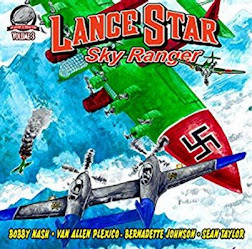 With the announcement of Lance Star: Sky Ranger joining the iPulp Fiction Library, we wanted to introduce readers to some of the Honorary Sky Rangers involved with making these stories happen. Click on the links below for the interviews. 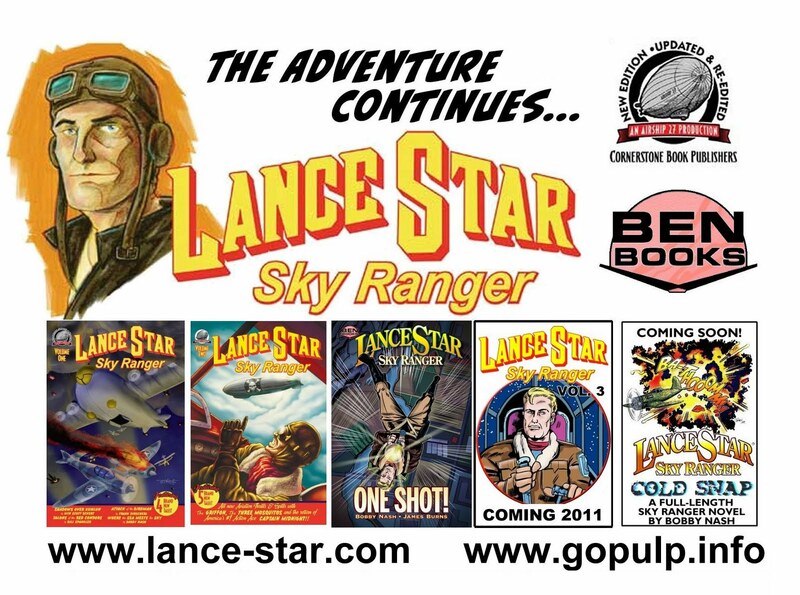 With the announcement of Lance Star: Sky Ranger joining the iPulp Fiction Library, we wanted to introduce readers to some of the Honorary Sky Rangers involved with making these stories happen. 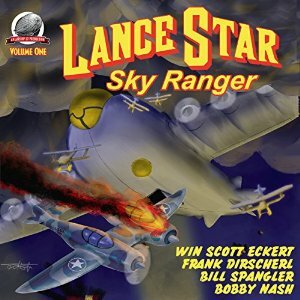 Next up is Lance star: Sky Ranger Author Bobby Nash. The interview has been posted here in its entirety with permission. 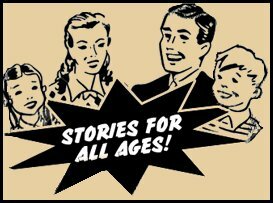 LSSR: Tell us a little about yourself and where readers can find out more about you and your work? 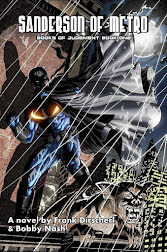 BN: I’m a writer of novels, comic books, novellas, short stories, graphic novels, and the occasional screenplay. My novels include Evil Ways and Fantastix. My comic book work includes Fuzzy Bunnies From Hell, Demonslayer, Lance Star: Sky Ranger “One Shot”, and the upcoming Domino Lady vs. Mummy. 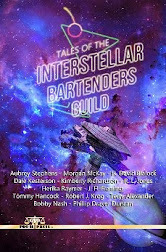 My short prose includes A Fistful of Legends, Full Throttle Space Tales Vol. 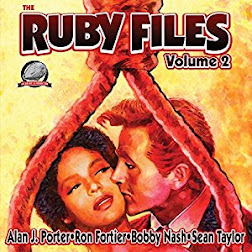 2: Space Sirens, and the upcoming Green Hornet Case Files and Yours Truly, Johnny Dollar. 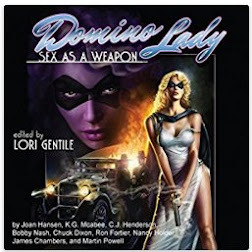 My novellas include Lance Star: Sky Ranger, Ravenwood: Stepson of Mystery, Domino Lady; plus the upcoming Secret Agent X and The Avenger titles. My graphic novels include Yin Yang; I Am Googol: The Great Invasion, and Fantastix. 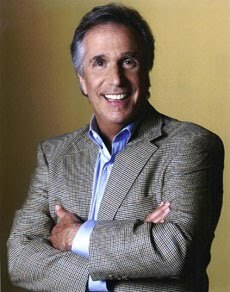 You can see a full list of credits on my website, www.bobbynash.com. I also regularly post at www.lance-star.com, www.facebook.com/bobbyenash, and www.twitter.com/bobbynash. LSSR: How did you become involved with the Lance Star: Sky Ranger series? 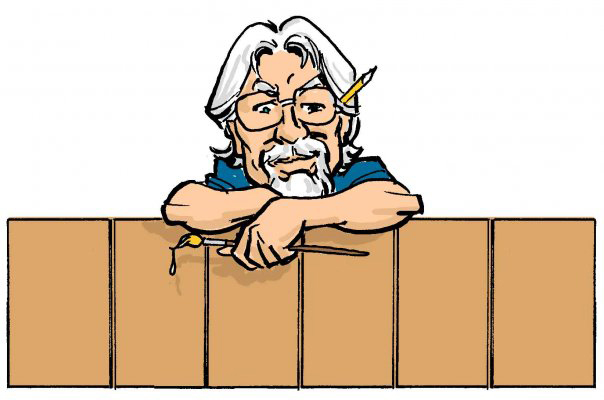 BN: It’s all Ron Fortier’s fault. Ron my table neighbor at the 2005 Dragon Con convention in Atlanta in 2005. At least I think that’s the right year. The cons start to run together after awhile. Anyway, Ron and I had corresponded via message boards and email before, but this was the first time we’d met in person. Ron picked up my novel, Evil Ways, and reviewed it at his Pulp Fiction Reviews site. 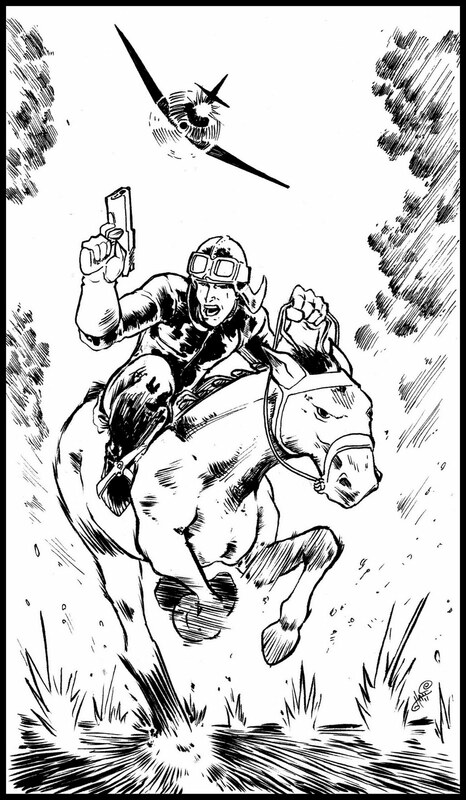 When he started up what eventually became Airship 27, he invited me to work on an anthology featuring a pulp aviator hero. 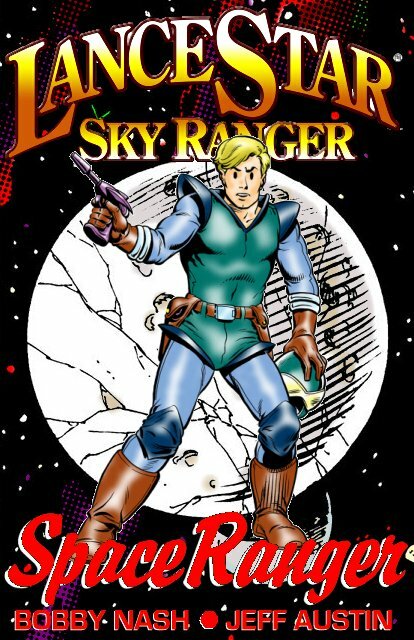 That book became Lance Star: Sky Ranger. The rest, as they say, is history. LSSR: Who is Lance Star? What makes pulp characters like Lance and the Sky Rangers appeal to you as a writer and a reader? BN: Lance Star embodies the best aspects of a pulp hero. He’s smart, inventive, courageous, fearless, and not afraid to do what’s necessary to stop the bad guys. Lance is also a nice guy. You want to be his friend, and if you are his friend you know he’s got your back. He’s a little bit John Wayne, a little bit Jimmy Stewart, and a little bit Indiana Jones. As a writer and reader, that’s a lot of fun. LSSR: Digital content has changed the publishing landscape. As a creator, what excites you about digital content? As a reader? BN: The digital frontier is an exciting undiscovered country for me. I’ve not read many eBooks, but that’s mainly because I spend all day writing and doing edits on computer so when I read for enjoyment it’s to get away from the computer. I like the idea of electronic books. Imagine the possibilities when you can have your entire library at your fingertips wherever you are. That’s pretty amazing. As a writer, I think that eBooks, because of their easy access and generally lower prices, make it easier for readers to try something new. Someone who has never read my work may be more willing to give it a try for $1 as opposed to buying an entire novel or anthology. Digital content helps make that happen. BN: “Where The Sea Meets The Sky” was the first pulp story I ever wrote and I am quite proud of it. Lance Star flies his newest creation, a specialized seaplane called “The Nessie” to Hawaii where he intends to present it to the US Navy. Lance looked on this trip as a working vacation. The last thing he expected to find waiting for him was a sunken treasure, pirates, mobsters, and a rival pilot with a massive chip on his shoulder. If Lance isn’t careful, this adventure could be his last. From the back cover of the anthology: Somewhere in the Pacific Ocean, off the shores of Tropical Hawaii, a hidden treasure has been discovered. Now a band of sky pirates is out to steal it no matter how many innocent lives must be sacrificed in the process. Only Lance Star and the Sky Rangers can end their bloody assault. 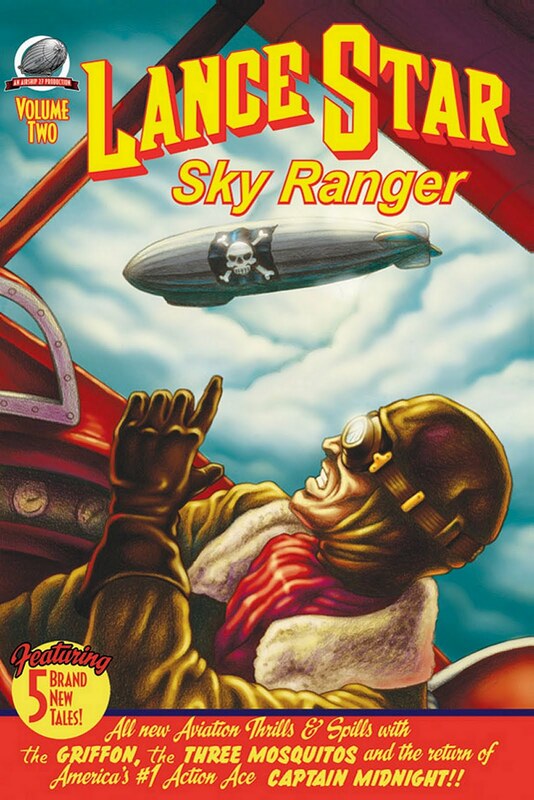 LSSR: Airship 27 currently has two Lance Star: Sky Ranger anthologies in print and available as eBooks with several of those stories soon to be released individually at iPulp Fiction as well as a Lance Star comic book. 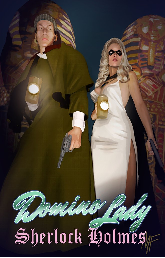 What’s next for these pulp heroes? 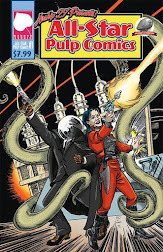 ﻿ BN: Volume 3 of the pulp anthology series from Airship 27 is in the works now. 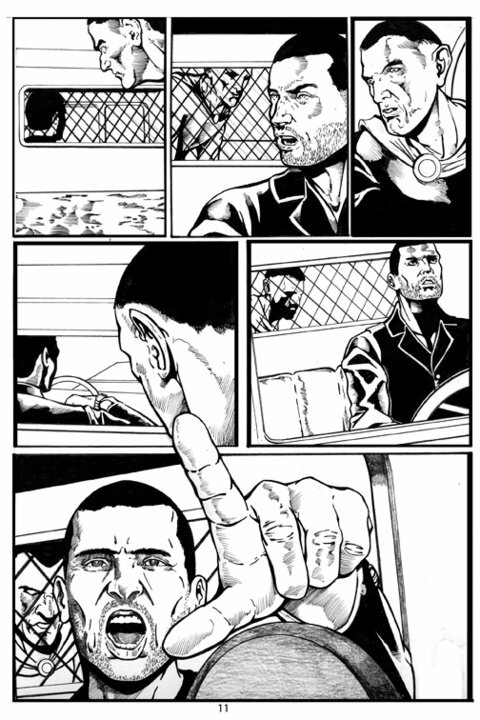 All four stories are in and the artist is currently busy working on the interior illustrations. Volume 3 features Lance Star: Sky Ranger stories from Bernadette Johnson, Sean Taylor, Van Allen Plexico, and myself. Interior art is by Shannon Hall. I’ll wait on the cover artist until the publisher announces it first. In addition to volume 3, there are more comic book stories in the works, as well as some digital comic book offerings as well. Plus, the Lance Star: Sky Ranger novel, “Cold Snap!” is in production. 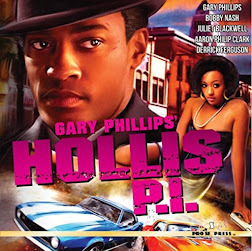 I’ve had to set it aside for some other work, but it will be completed in 2011 to come out in 2012. LSSR: Any upcoming projects you would like to plug? BN: July will see the release of two anthologies featuring stories by me. 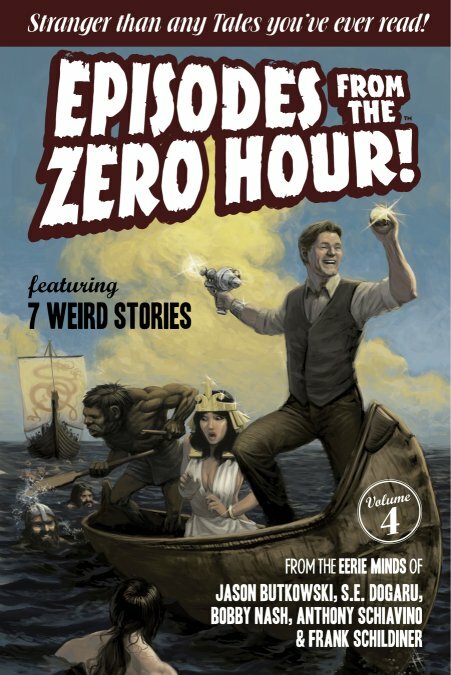 The Green Hornet Casefiles and Tales From The Zero Hour Vol. 4: Weird Tales. 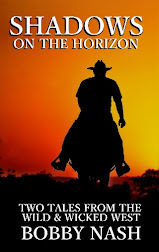 There are several other anthology tales in production, but I don’t know release dates as yet. 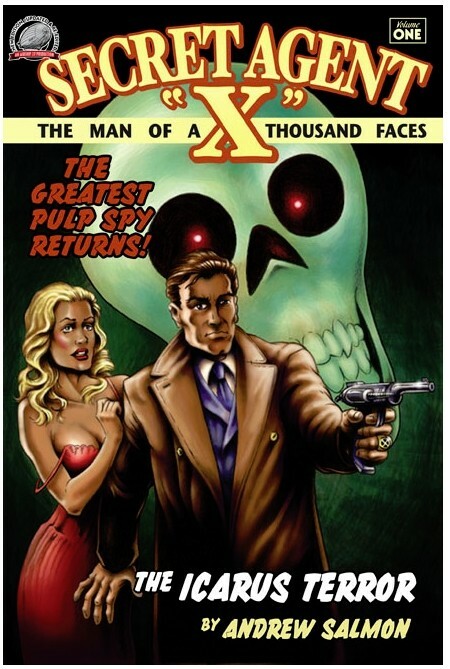 On the comic book side of things, I wrote a Secret Agent X story (with Jeremy McHugh on art) for All-Star Pulp Comics, a one-shot comic anthology that should be out sometime this year. 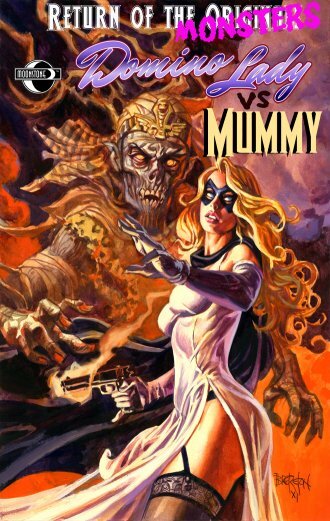 In October, Domino Lady Vs. Mummy will be out from Moonstone. Co-written by Nancy Holder and myself, this one-shot story is part of Moonstone’s Return Of The Monsters Halloween event and features gorgeous art by Rock Baker and Jeff Austin. 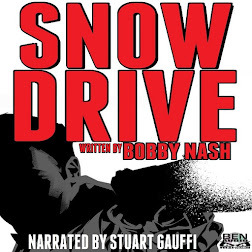 Keep checking in at www.bobbynash.com for more information and release dates. Earth Station One Vs. The Green Lantern Corp. Place your bets. 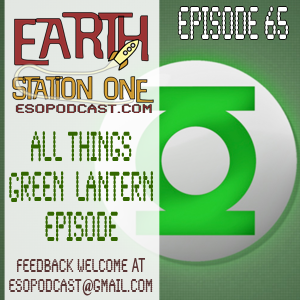 Bobby joins the Earth Station One crew for episode 65 where they discuss all things Green Lantern. Let those who worship evil's might. Beware my power... Green Lantern's Light! On this this week we will be taking all things Green Lantern, from the history of the Emerald Warrior to our favorite GL Stories. Then we go in depth in our review of the new Green Lantern feature film staring Ryan Reynolds. Join us for yet another episode of The Earth Station One Podcast we like to call: – I pledge allegiance to the lantern, naa that’s too silly. Listen to Earth Station One Episode 65 at http://www.esopodcast.com/. 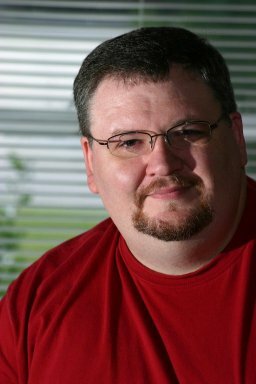 Bobby will be a guest at Fandom Fest in Louisville, KY on July 22 - 24, 2011. Today, the convention released the following press release detailing guests for the lierary and gaming tracks. Marquee celebrities like Hollywood legends John Carpenter and Henry Winkler will command great attention at the Fandom Fest/Fright Night Film Fest weekend July 22-24, 2011, in Louisville, KY. Alongside the wide array of premium Hollywood and media personalities, an incredible opportunity beckons for writers, gamers, readers, artists, filmmakers, pop culture fans, costuming enthusiasts, and many more. Fandom Fest represents a bold expansion of the popular Fright Night Film Fest, establishing several new tracks, genres, and a host of activities catering to pop culture, science fiction, steampunk, anime, costuming, and fantasy. The event builds upon Fright Night Film Fest’s strong horror legacy, growing from its inception in 2005 to become the third largest genre film festival in the United States. Fandom Fest’s brand new Literary Track alone features over a hundred participating authors, covering over 55 expert panels, 20 workshops, and a large number of live readings, author signings, and book launches. From the current state of publishing, to intensive writing workshops, and workshops in topics like self-publishing and e-Book development, the panels and workshops of the Literary Track have something to offer attendees from all levels of experience. As a comprehensive learning, networking, and career development opportunity, Fandom Fest’s 2011 content is unprecedented in its region. Major press authors such as Julie Kagawa (The Iron Faery Series), Molly Harper (Jane Jameson Series), Eric Wilson (Fireproof, Jerusalem’s Undead Trilogy), Shirley Damsgaard (The Ophelia and Abby Mysteries), Michael Williams (one of the first DragonLance novelists), and Maurice Broaddus (Knights of Breton Court) are just a few examples of the well-established, award-winning authors from all across the United States who are attending. Editors and publishers of many levels round out the impressive list of track participants., The Literary Track’s sponsor is Belle Books/Bell Bridge Books, who also happen to be sponsoring the prestigious Dragon*Con’s 2011 Writer’s Track. The main genres being featured at Fandom Fest are primarily fantasy, horror, and science fiction, but the Literary Track programming caters to writers of any genre, with panelists from spheres such as mystery, romance, and even erotica. The new gaming track unveils an array of panels, tournaments, special guests, and much more, debuting yet another new section of the event. Tabletop role-playing games, video games, board games, and even Live Action Role Playing are scheduled throughout the weekend with a strong team of gaming hosts. Attendees include representatives of highly regarded game companies/publishers such as DriveThruRPG, Pinnacle Entertainment Group, SilverMeet Studios, Hex Games, Beautiful Brains, and Blackwyrm Publishing. A multitude of vendors will fill the concourses of the Fern Valley Hotel and Convention Center at Fandom Fest. Gaming stores, publishers, authors, crafts, production companies, memorabilia dealers, actors, artists, and much, much more will be available for convention attendees to browse and buy one-of-a-kind items from. Even the live music portion of the event advances with a concert from international rock act Bella Morte, whose frontman, Andy Deane, is also a horror author appearing on the Literary Track. Fast rising heavy metal/hard rock prospect ZeroKing is slated to open for Bella Morte. Join us July 22 - 24 in Louisville, Kentucky. 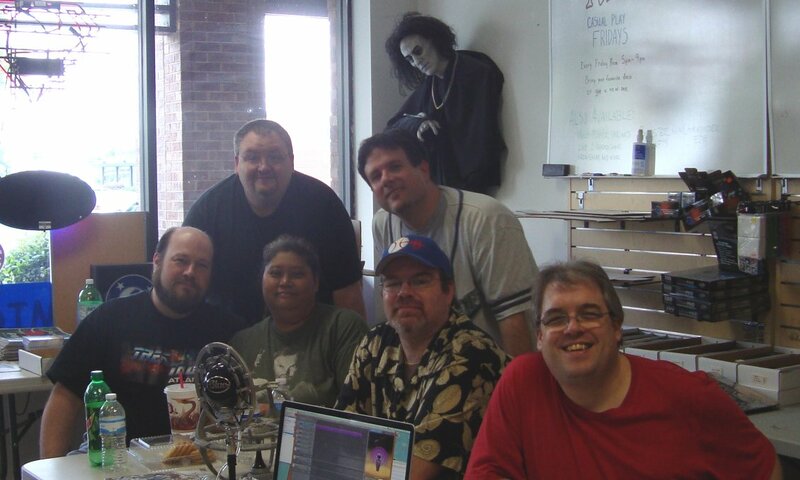 From gatherings of cast members from popular franchises like Revenge of the Nerds, Enter the Dragon, Jem, and The Walking Dead (including Tony Moore, artist and co-creator),to icons such as Margot Kidder (Lois Lane in the Christopher Reeve Superman films), Kane Hodder (Jason Vorhees in several Friday the 13th installments), and Larry Drake (Dark Night of the Scarecrow, Dr. Giggles, and Darkman), the list of attending film and media guests contains something for everyone. For the thousands in attendance, there will be more than enough to choose from in regards to programming, events, activities, parties, and celebrities. Best of all, standard weekend passes are just $45 dollars, which is much less than the cost of genre events which are a small fraction of the size of Fandom Fest/Fright Night Film Fest. In value, content, and affordability, Fandom Fest/Fright Night Film Fest is poised to become one of the top events of its kind in the United States. The Lance Star: Sky Ranger interviews continue. This Time up we chat with the writer of Talons Of The Red Condors, Author Bill Spangler. Read the interview with Bill as well as with other Lance Star: Sky Ranger creators at http://www.lance-star.com/. 20% off through June 30th. 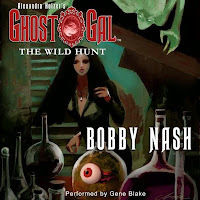 Get 20% off on 8 books featuring stories by Bobby Nash through June 30th. Use discount code SUNSHINE305 at check out. 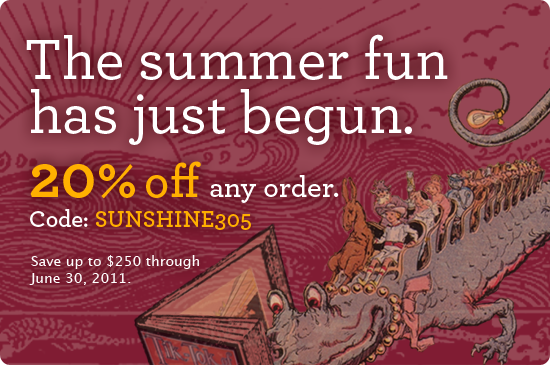 Get 20% off on 8 of Bobby’s books through June 30th. Use discount code SUNSHINE305 at check out. 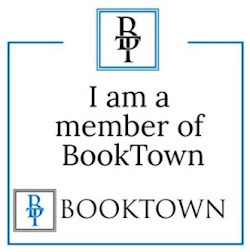 This includes all Airship 27, Express Western, Pro Se Productions, White Rocket Books, and Wild Cat Books titles. The Lance Star: Sky Ranger interviews continue. This Time up we chat with Airship 27 Artist/Designer Rob Davis. Read the interview with Rob as well as with other Lance Star: Sky Ranger creators at http://www.lance-star.com/. 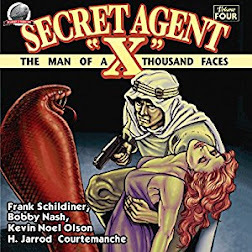 Secret Agent X "The Icarus Terror"
Bobby interviews author Andrew Salmon on his Secret Agent X iPulp Fiction Release of Secret Agent X in "The Icarus Terror." Shannon Hall's Art From "Open Range"
Airship 27 has announced that Shannon Hall will be the artist for volume 3 of the Lance Star: Sky Ranger pulp anthology series scheduled to premiere in 2011. The artwork to the left (click image for larger view) by Shannon Hall comes from Bobby Nash's story, "Open Range." 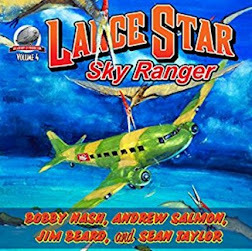 Story contributors to Lance Star: Sky Ranger Vol. 3 include Bernadette Johnson, Sean Taylor, Van Allen Plexico, and Bobby Nash. Interior art by Shannon Hall. Edits by Ron Fortier. Design work by Rob Davis. 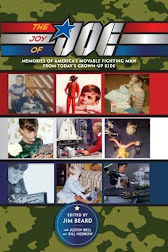 Published by Airship 27 Productions and Cornerstone Books. Look for an announcement naming the cover artist soon. To learn more about Shannon Hall, please visit http://shannonh.carbonmade.com/. To learn more about Airship 27, please visit http://www.gopulp.info/. 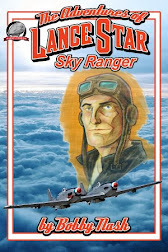 To learn more about Lance Star: Sky Ranger, please visit http://www.lance-star.com/. 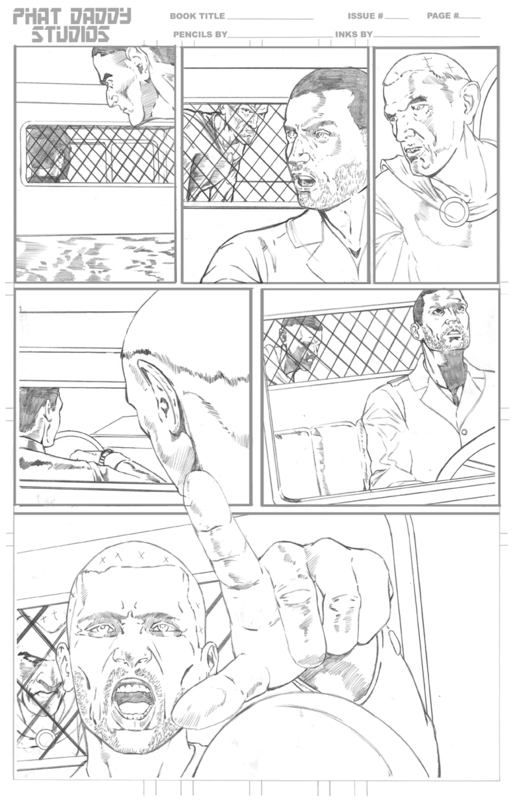 Check out this beautifully drawn page from Operation Silver Moon, a comic book project uber talented artist Rick Johnson and I are collaborating on. The setting for this science fiction/supernatural thriller is Romania during World War Two. 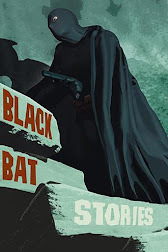 ﻿ On Sunday, June 19th, Moonstone Editor, Win Scott Eckert previewed the final version of the GREEN HORNET CASEFILES softcover by Michael Wm. Kaluta. "Notice the new, neato-keen Hornet 75th anniversary logo!!" says Win of the cover design. 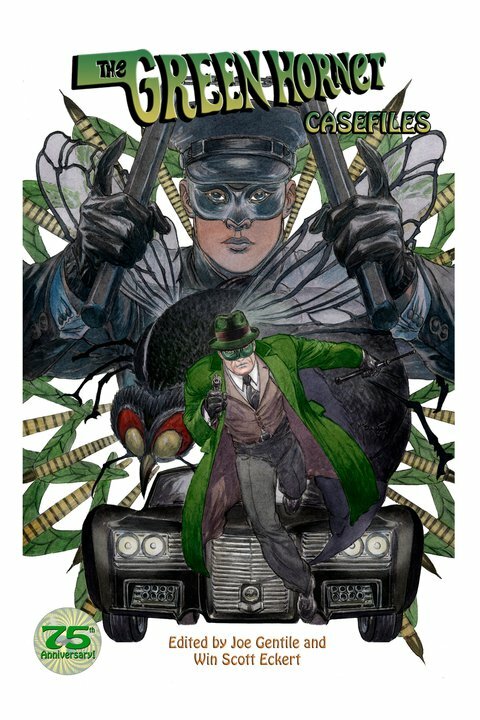 The Green Hornet Casefiles anthology is schedlued to be in stores in July. Keep watching this space for more details. The Lance Star: Sky Ranger interviews continue - This Time up, Airship 27 Air Chief Ron Fortier. 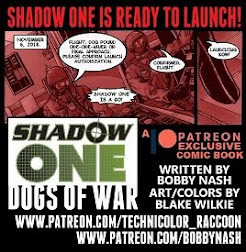 Read the interview with Ron as well as with other Lance Star creators at http://www.lance-star.com/. Just wanted to wish all the Dad's out there a Happy Father's Day. Special thanks to my Dad, The Real R.O. for being such a great Dad. 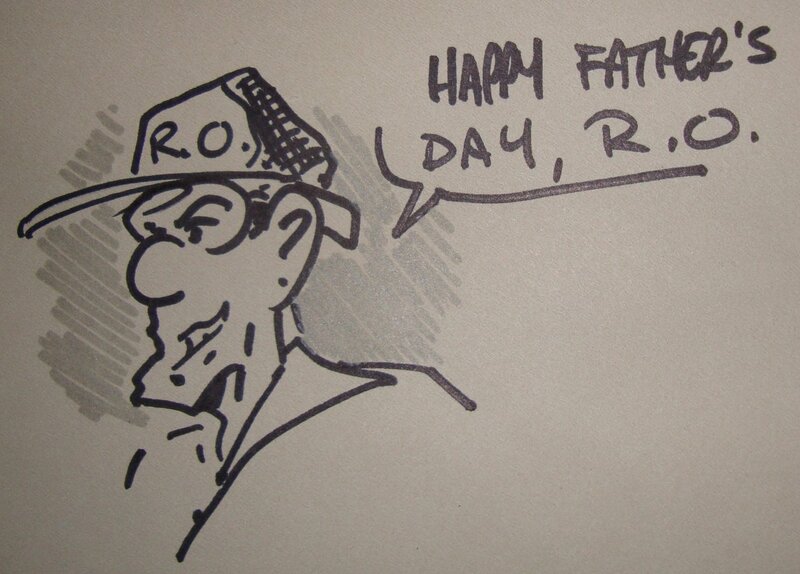 Something I drew on the envelope of my Dad's Father's Day Card. Labels: Bobby Nash, Father's Day, Life In The Faster Lane, R.O. The Lance Star: Sky Ranger interviews continue over at the official Lance Star website. 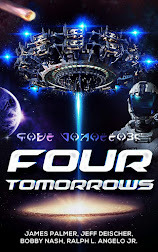 This time out, we interview Author Sean Ellis. 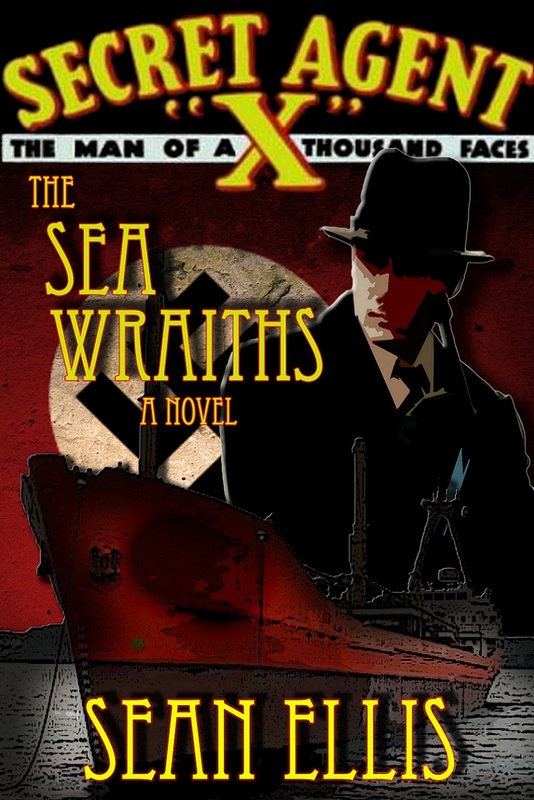 Sean's Secret Agent X novel, "The Sea Wraiths" has been re-released in digital form and features a cameo appearance by a certain group of flyboys. You can read the full interview at http://www.lance-star.com/. 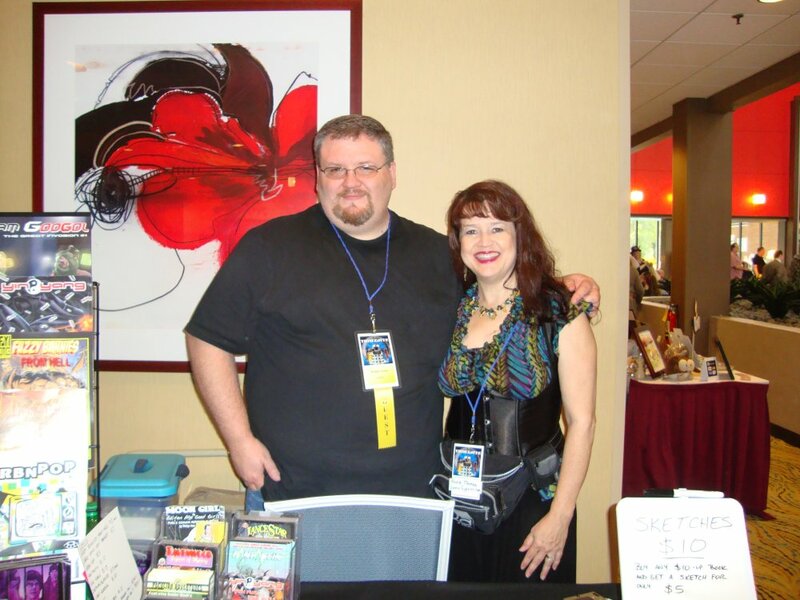 ﻿At the 2011 Timegate Convention (http://www.timegatecon.org/) in Atlanta, GA, Bobby Nash was interviewed by Roxie Thomas from http://www.spacegypsies.com/. ﻿You can read the article at http://articleadvocates.com/ArticleAdvocates/Display.cfm/18658. The Lance Star: Sky Ranger interviews continue over at the official Lance Star website. 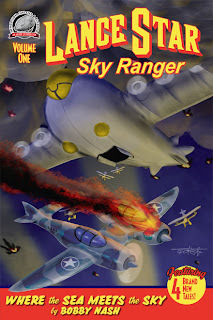 This time out, we interview Frank Dirscherl, author of Lance Star: Sky Ranger "Attack Of The Bird Man" which is now available for mobile devices over at http://www.ipulpfiction.com/. A Good Man Goes To... Earth Station One? 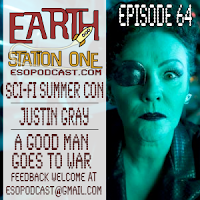 I joined the Earth Station One podcast crew for Episode 64 – When they said Headless Monks they wen't kidding...ewww... We talk about the mid-season finale of Doctor Who, conventions, and the usual assortment of rants, raves, and shoutouts. It was a fun time. Join in on the fun at http://www.esopodcast.com/. 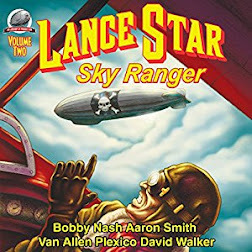 iPulp Fiction’s Keith Shaw announced on June 16th the release dates for the first three Lance Star: Sky Ranger titles to be released as part of the iPulp Fiction Library. Available June 17: Lance Star: Sky Ranger - Vol.1 #1: Attack of the Bird Man by Frank Dirsherl. Available July 07: Lance Star: Sky Ranger - Vol.1 #2: Where the Sea Meets the Sky by Bobby Nash. 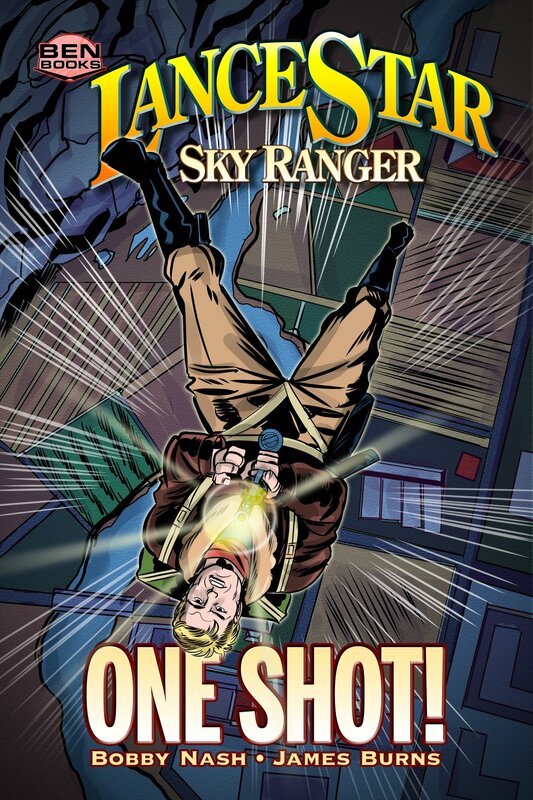 Available July 27: Lance Star: Sky Ranger - Vol.1 #3: Talons of the Red Condors by Bill Spangler. NAMED ONE OF THE WRITER AWARDS TOP AUTHOR WEBSITES OF 2017! 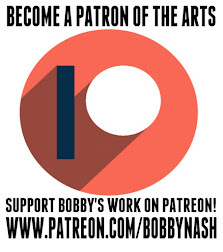 PATREON is like a subscription service for Bobby's work. Free books, art, sneak peeks, and giveaways each month. Thank you for your support! BOBBY'S BIG BOX O' BOOKS SALE! 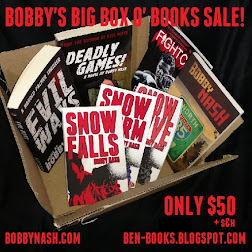 7 books by Bobby Nash for only $50! SIGN UP FOR THE OFFICIAL NASH NEWS EMAIL NEWSLETTER TODAY! Get yer red hot NASH NEWS here! 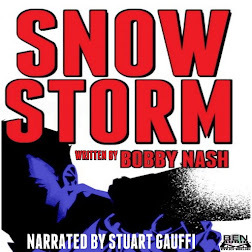 Audio Book written by Bobby Nash. 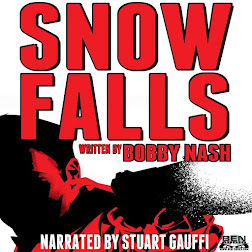 Narrated by Stuart Gauffi. 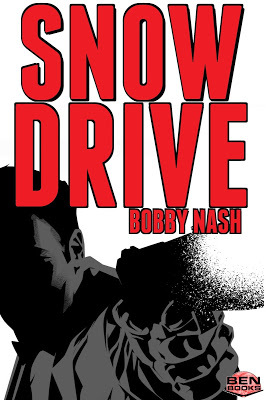 Collects Snow Falls, Snow Storm, and Snow Drive in one hardcover volume. An Action/Thriller Novella. Patreon Exclusive! A novel featuring The Wraith by Frank Dirscherl and Bobby Nash. 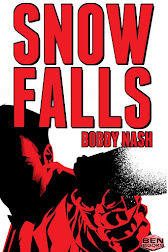 A short story collection by Bobby Nash. 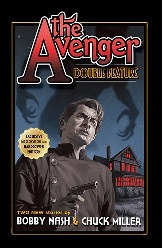 A Pulpy Paranormal Adventure novel - THIS VERSION CURRENTLY OUT OF PRINT. 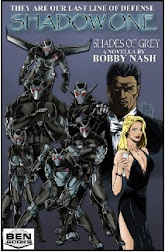 An ebook novel by Bobby Nash - THIS VERSION CURRENTLY OUT OF PRINT. RELAUNCHED BY BEN BOOKS. Reprints Tales of the Rook Vol. 1 and more. THE NEW ADVENTURES OF MAJOR LACY AND AMUSEMENT, INC. BOX THIRTEEN - ADVENTURE WANTED! 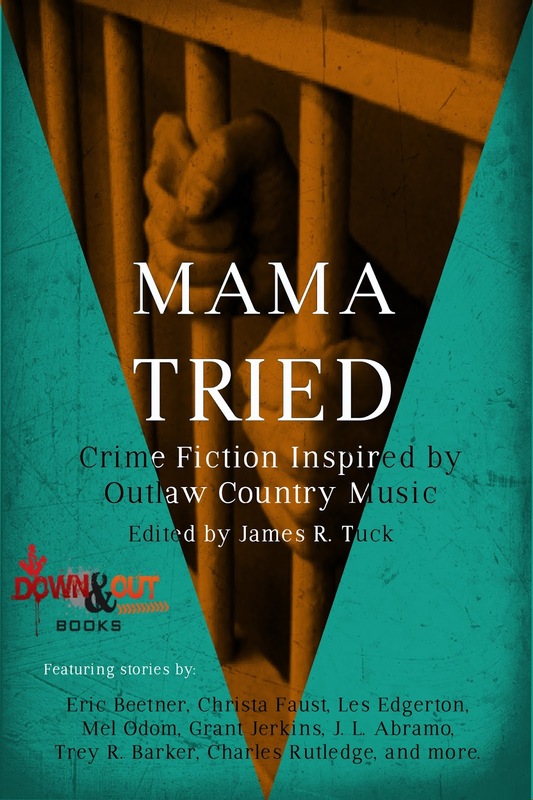 An Ebook Anthology Based On The Radio Drama. 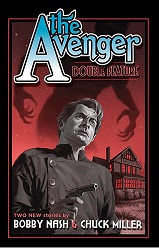 A PULP ANTHOLOGY - NOW AVAILABLE! 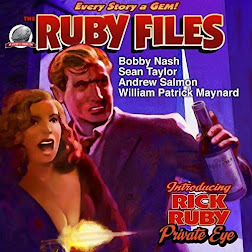 THE RUBY FILES Featuring RICK RUBY: PULP P.I. 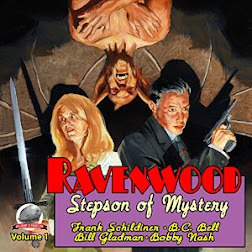 A PULP MAGAZINE FEATURING BOBBY NASH'S "WITH EVIL INTENT"
FREE E-AUTOGRAPHS FOR E-BOOKS - SEVERAL TITLES AVAILABLE. CLICK FOR DETAILS. 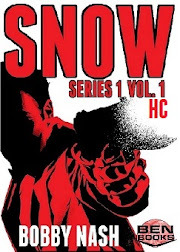 A Serialized Comic Book. Patreon Exclusive! Reprints Bobby's Jungle Fantasy story from 2003. LANCE STAR: SKY RANGER "The Crown of Genghis Kai"
An Audiobook Anthology Based On The Radio Drama. 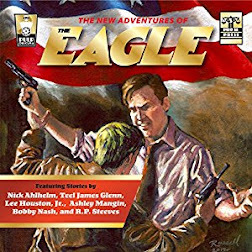 An Audio Book performed by Gene Blake - THIS VERSION CURRENTLY OUT OF PRINT. The Green Hornet Rides Again! © Bobby Nash or respective owners. Simple theme. Powered by Blogger.